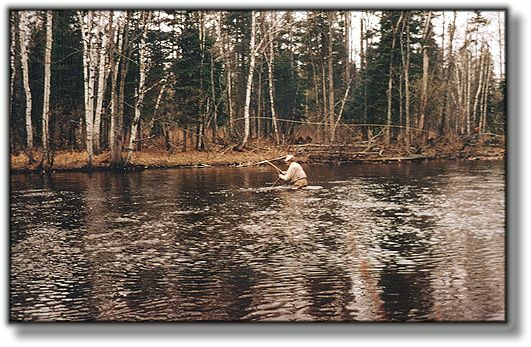 Fly Angler's OnLine "Flies Only - 12 - Conclusion"
As a tribute to my mentor, I now share with you the only known sequence of Vincent Marinaro casting a cane rod he had just built during the winter and brought to Michigan's AuSable river to fish the 'Hendrickson' hatch. 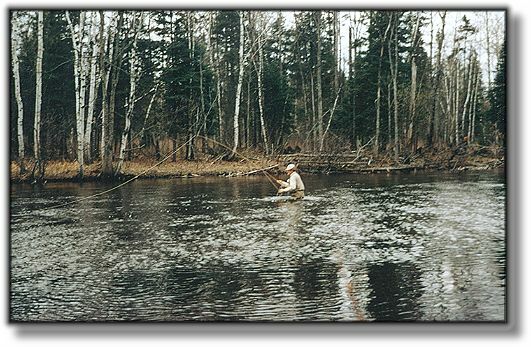 This series is on the South Branch of that famous river. 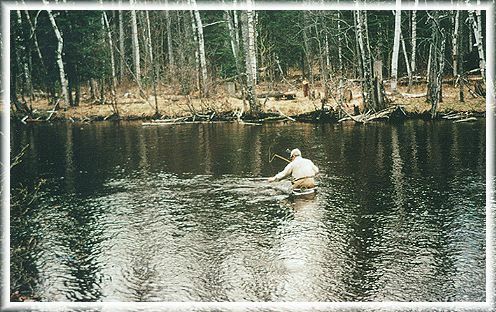 Later that day, he broke that rod. He then completely destroyed it and eventually made it into bodkins, it's life was terminated. The photo's are large and will take a little time to load. They are worth it. I still have some audio tapes that we used to communicate with each other. 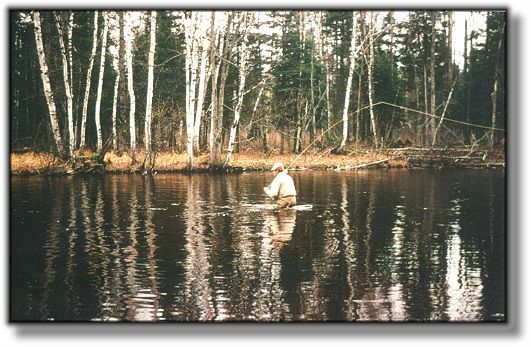 I have some letters and some sixteen millimeter footage of him fishing. I was fortunate to be involved with his presentation and development of, In The Ring of The Rise, his last book. Most valued of all, I have his memories. He wanted me to do a final book, one to follow his last. 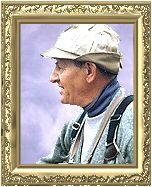 The one to put it all together, to prove the point, to make the fly fishing community finally understand. He felt he had never quite accomplished the job. The publisher was selected and ready, but I was not. Now his thorax tie is in cyber-space, I have done at least that much. Perhaps his style of tie takes a fly-fisher to far, to fast. Perhaps it robs one of the trip, the venture; for it is that very trip that is in itself it's own end. 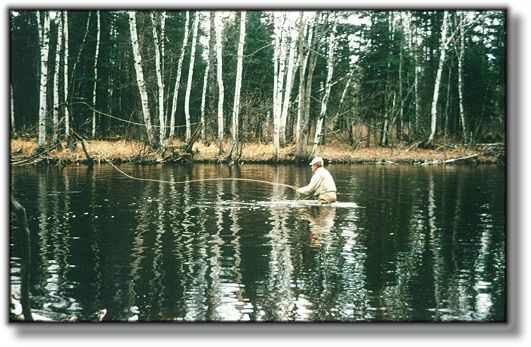 Fly fishing is indeed a journey; for those fortunate few, a life-long journey. I started when I was eight. Once learned, a thing can not be un-learned. One can not go back. Vincent Marinaro took me to the plateau of his peers. For that I am grateful, forever grateful. If you are blessed to find a mentor, you are truly blessed; I was.